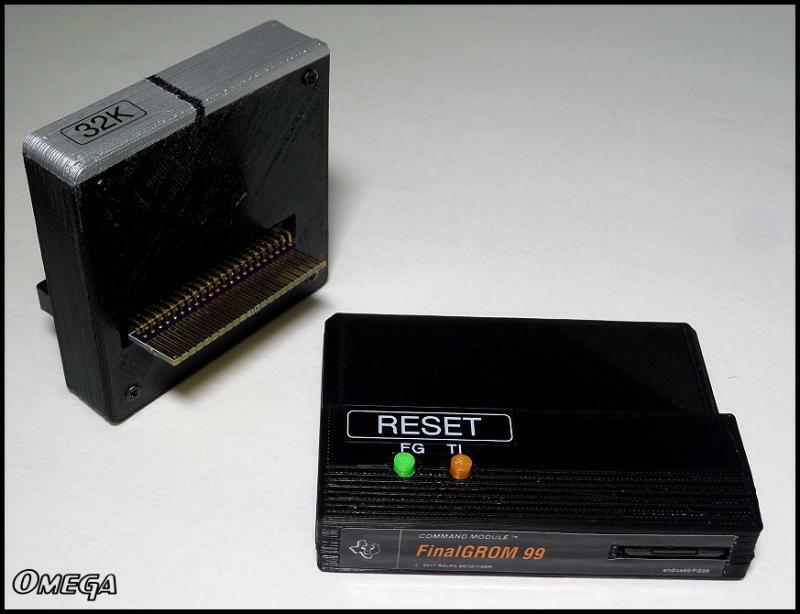 I'd just like to say, as the designer of Jedimatt42's 32k memory expansion board for the TI-99/4A, these 3D printed cases for it are great! I would have suggested one design change, and that would be to have the LED window in the front. Regardless, c0d3m4st4, your work is excellent. Thanks! I was thinking exactly of that for the new FinalGROM99 case... LEDs are bright enough to be seen even if they are 1 or 2 cm inside the case. 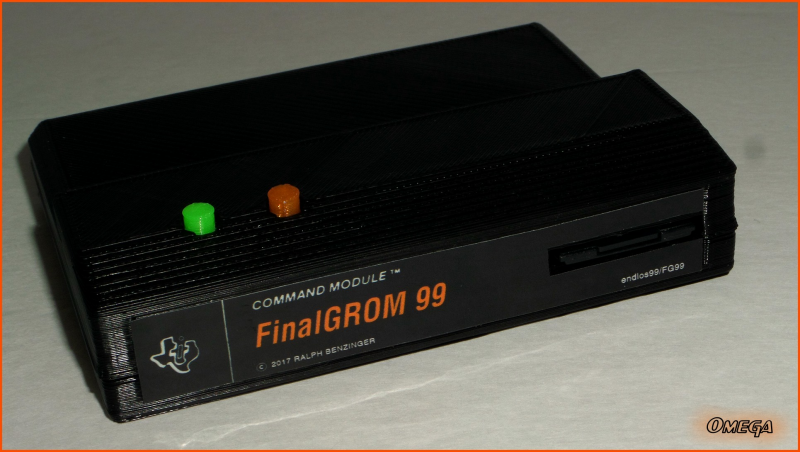 3D printed case for FinalGROM 99 ready! I agree! I've included a high quality close up photo here, so others can see how nice his FinalGROM cartridge shell is. The second image is a lower resolution image of both items you mentioned... although I admit to painting the 32K expansion shell to match my TI so it's no longer 'stock looking'. Hi to all, I just received cases for the NanoPeb, 32K expansion and FinalGROM, and they are flawless.., the fit is perfect, and they are very very nice.. thanks c0d3m4st4!. I highly higly recommend them.. I also have the cases for the FlashRom and the mateos burner, and they are also awesome.. Some parcels arrived pretty fast... Seems your parcel took almost a month? I guess this means USPS is still as reliable as a chinese laptop battery replacement Shame service. If anyone else has not yet received the parcel, please contact me. Edited by c0d3m4st4, Fri Aug 25, 2017 10:29 PM. Hi! no they arrived on time, no problem with tha.. It's just that I was out of town for a while so it took me some time to finally try them, thanks again! Edited by c0d3m4st4, Sat Aug 26, 2017 12:46 PM. Edited by c0d3m4st4, Fri Sep 22, 2017 5:17 AM. Sorry for the delay replying. Been ill for the last couple weeks and printer broke too Will hopefully get it fixed during the week now that it seems i'm feeling better and will resume printing asap. Will contact all those who got in touch with me asap.